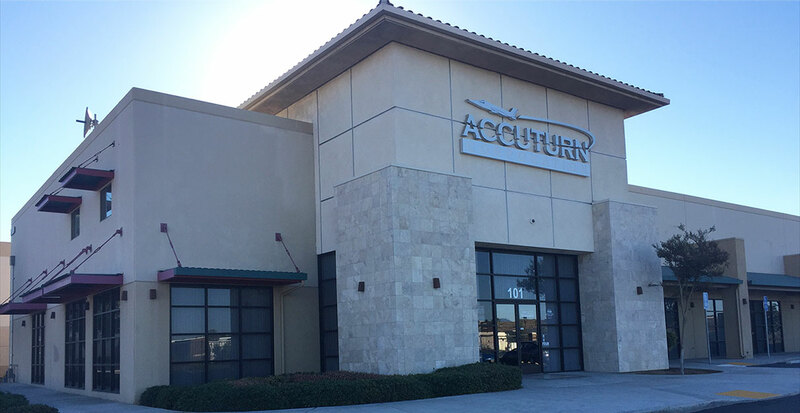 Since 1974, Accuturn Corporation has operated from its Riverside, CA facility and has provided custom, high-quality precision parts at an affordable price to the Inland Empire and Riverside, Los Angeles, Orange and San Diego counties. Accuturn operates with the newest CNC Swiss automatics available in the marketplace and employs a staff of seasoned industry professionals working various shifts to ensure on time production of all parts. Accuturn Corporation offers custom swiss machine parts to several industries, including aerospace, medical, dental, automotive, electronics and telecommunications. We manufacture all products at our 17,000 square-foot, brand new facility in Riverside, CA and our quality control and inspection department ensures every part we make is to the strictest 9008:2001 and AS9100 standards and meets each customer’s needs. Every year we strive to improve our bottom line to help yours. We continue to keep up with the ever-changing technology in our industry and with that and our continued progression in the CNC era, Accuturn Corporation will continue to soar. We are increasing the number of machines in our facility each year. Through technology, experience and dependability, we will continue to provide our customers with the best parts at the best prices. Our brand new customized facility boasts over 17,000 sq. ft. We have 16 high tech machines in house along with a front office built to greet and present customers with the best service. We pride ourselves on cleanliness and quality, thus creating a fresh and organized facility.